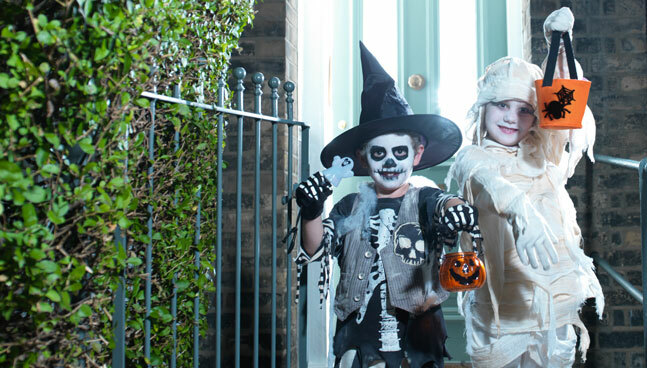 John Lewis and Waitrose is working with The Royal Society for the Prevention of Accidents (RoSPA) to help people celebrate Halloween safely. Together we have come up with a few simple tips, so that we can all have fun by reducing the risk of accidental injury. Candles are used at Halloween so please use them carefully and never leave them unattended, and remember to extinguish them. Don’t allow children to carry, play or be around candles. Use battery operated candles instead. When outside, ensure children can be seen in the dark. Wear something reflective and carry a torch. If outside, ensure children are supervised by a suitable adult and remind them about crossing roads etc. Dressing up costumes should be tested against the toy standards flammability requirements and carry a CE mark. This means if the items should catch alight the rate the flame will spread is slower. Please be aware that items you may make or use may not have had any flammability testing so could ignite easily.